Tooth decays largely preventable but remains a massive health problem worldwide. A study out on England found that 25% of 5 year olds had experienced tooth decay! 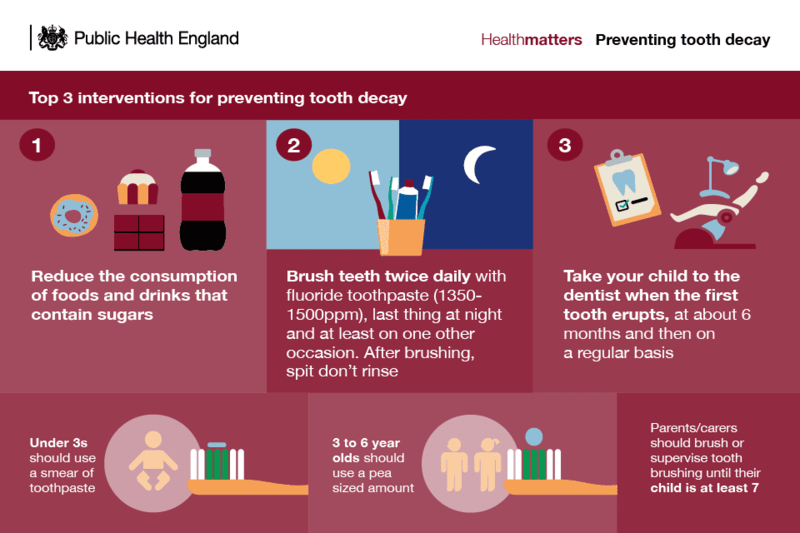 Keeping kids teeth healthy is very important and the UK government has released some really good information about how to stop tooth decay in kids teeth. Kids teeth can be particularly susceptible to decay – particular when kids do not brush! When kids do not brush their teeth they can end up needing extractions. Not a fun procedure for a kid to go through. In the UK tooth extraction was the sixth most common procedure in hospital for children under 5 years of age. It was the most common reason for hospital admission for children aged 5 to 9 years old. Of these, the most interesting and important is diet. The secret to healthy kids teeth comes through the food they eat! Children (in the UK) are eating 2-3 times the recommended amount of sugar each day. How do your kids go with toothbrushing? Any tips you find helpful to keep your kids teeth sparkling?